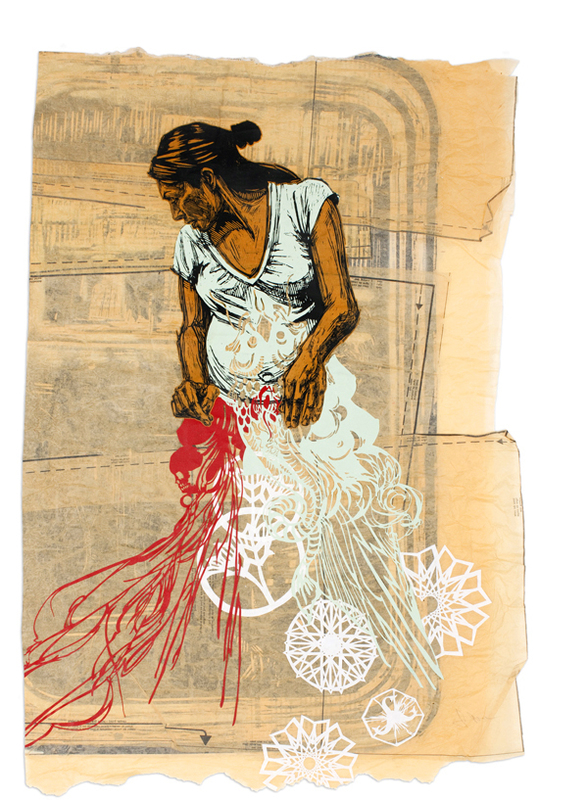 A paper based piece with some hand love from Swoon. This piece is built on an old studio print from an early woodcut piece. Dimensions: 24 x 36 Inches. Letterpress Print on Yatsuo B25 Kraft Paper. Relief Print on Magnani Arturo Stationary Weight Cut Paper. Mixed Media on Paper.